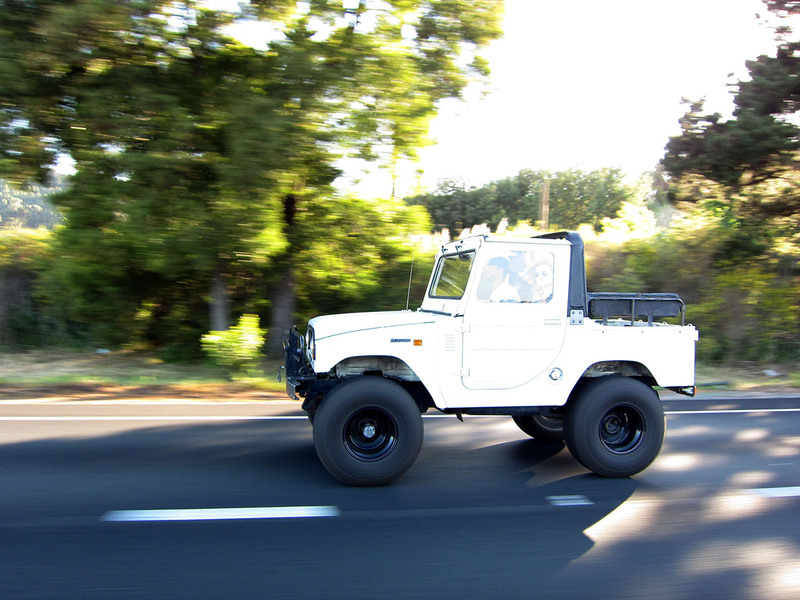 Natalie snapped this Land Cruiser FJ22 Blizzard in Northern California a little while ago. This cool (and rare) little 4×4 was based on the Daihatsu Taft. I posted about one of these a while ago. Check that post for more details. Update 5/14/2013: In that post I wrote that the Marin county seller of the Blizzard I featured had previously sold a convertible version, claiming it was the only one in the country. If that’s true, this is that truck!